FREE Demo: Find the best tools for your next fundraising auction! Test drive OneCause to see how we can take your auction to the next level! There’s no doubt about it: fundraising events work. A well-executed event can do more than just bring in major fundraising dollars. Fundraising events are a great way to engage supporters, promote your cause, and have a ton of fun all at once. If you’re looking to plan a fundraising event that draws in donors, have we got the list for you! Below, you’ll find 17 classic (yet ultra creative!) fundraising events that your supporters are sure to look forward to all year long. 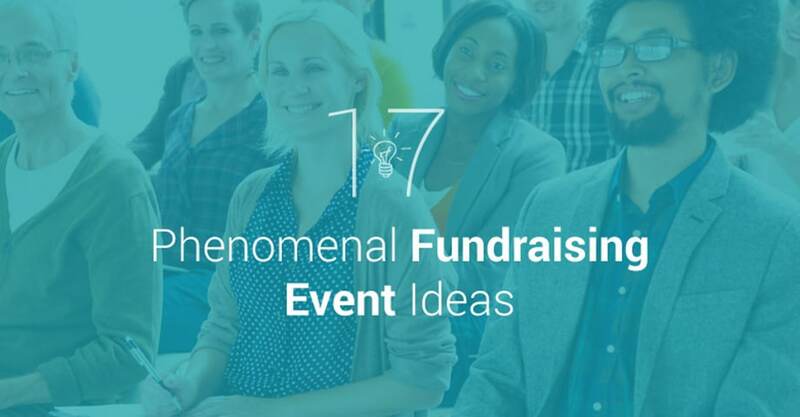 What’s the Fundraising Event Idea? Silent auctions are truly a staple in the fundraising world! During a silent auction, guests can peruse items placed around the venue and place bids using mobile bidding software (such as the OneCause platform.) or traditional paper bid sheets. Why Does this Fundraising Event Idea Work? Silent auctions are successful for a number of reasons. For starters, as far as fundraising events go, silent auctions are about as versatile as it gets. You can adapt your auction to fit any audience and venue—from a casual school event to the swankiest art gallery party and anything in between. You can make your auction one of several fundraising activities at your event or make it the star of the show! Plus, silent auctions will give your fundraising team plenty of face time with your donors. As they browse your perfect auction items, you can mingle with your guests and get to know your supporters a little better! Silent auctions are our top pick for a number of reasons, many of which have already been listed, such as their versatility and the face-time you get with donors. Additionally, they pair well with other events and can bring in money while another fundraiser, like a charity golf tournament, is occurring. Bonus: No silent auction is complete without a mobile bidding tool! Rock your next auction by incorporating engaging and easy-to-use mobile bidding software. Request a tour of OneCause today! When warm weather rolls around, why not enjoy some fun in the sun while raising funds for your favorite cause? Plan a golf tournament wherein supporters donate a preset amount in order to participate on a team with friends, with the winners taking home a big prize of course! 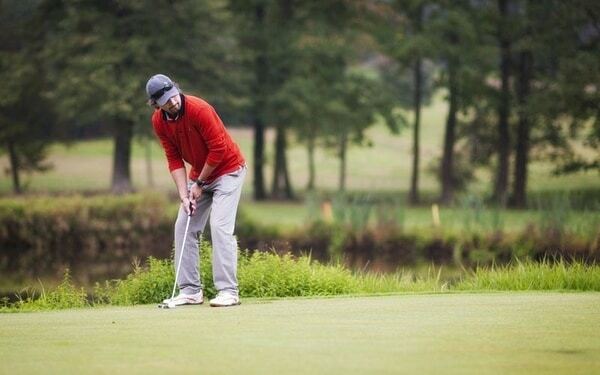 If your supporters enjoy a little athletic activity and healthy competition, a golf tournament is hard to beat. Don’t forget to seek out local companies to sponsor your tournament, too! Golf tournaments, while lucrative, require a lot of planning to pull off. By having sponsors take some of the logistical burden off your shoulders, you’ll be primed to enjoy your day at the country club! Golf tournaments are a really great major gift opportunity. Nonprofits typically recruit corporate sponsors/partners and donors with major gift potential to play, so it truly is an excellent chance to court prospects with high giving potential, especially since they’ll be on the course with your staff and board for hours. Bonus: Looking for a way to manage tickets and registrations to your golf tournament? OneCause ticketing features make it easy for your organization to create custom packages and track your ticket sales. If your donors would appreciate a night of glitz and glamour, a charity gala might be the perfect event for you! A gala traditionally consists of a formal dinner, some type(s) of entertainment, and plenty of activities to keep the fun (and fundraising!) going all night long. Though galas require a great deal of planning and investment, when executed properly, these charity events can be the perfect way to secure large donations, especially at the beginning of a major project or capital campaign. Like silent auctions, you can adjust your charity gala to fit your donors. Not interested in a seated dinner? Mix it up with a live band, a comedic speaker, or a unique theme. (Think: poker tables at a casino-themed event or a jazz band at a Roaring ’20s gala.) The possibilities are endless when you get a little creative! No matter what spin you put on your gala, remember that the best part of these events is getting the chance to connect with major donors in person, share updates about your organization, and rally your supporters for your cause. Charity galas made the list for all the reasons listed above and then some. Galas are often flagship events for large nonprofits, but that doesn’t mean smaller or newer organizations are excluded. In a nutshell, galas give your donors and prospects the chance to party and give your staff the chance to connect one-on-one with valuable donors. Bonus: Want to liven up a traditional charity gala? Consider adding technology to the mix by promoting text-to-give throughout the night! Learn how to make a compelling live appeal and watch the donations pour in on the spot. Walkathons combine two of the best things around: fitness and fundraising! Using peer-to-peer fundraising software, your donors can form teams to raise funds for your cause in preparation for the big walk. Then, enjoy a day walking through the community and promoting your cause! Walkathons, like many other active fundraising events, thrive on group participation. When you motivate your supporters to engage their own communities in your cause, you’ll be amazed at the fundraising results! When donors share your event and campaign with their friends and families, tons of potential new supporters will be exposed to your cause. Not only will you bring in substantial donations from the walk itself, but you can also sell merchandise to encourage additional gifts and promote your event at the same time. Custom fundraising t-shirts, water bottles, and hats are all great complements to a walkathon, but your options are pretty much limitless! Perhaps one of the biggest charity walks out there is the breast cancer walk. But that is just one of many, many lucrative fundraising walkathons, runs, bikes, and so on. Walkathons made this list because they are exceptional at capitalizing on massive networks of supporters to raise money. Bonus: For help planning your event, check out our 10 Steps to Planning a Successful Fundraising Event list. 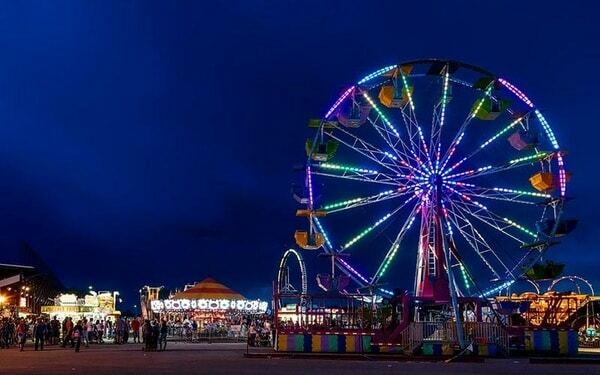 Everyone loves a night at the carnival, so it makes perfect sense to pair one with your fundraising campaign! Get as elaborate as you want with this event by hosting larger-than-life rides or keeping it simple with classic games that no one can say no to. There are few fundraising events that truly appeal to any demographic, but the carnival is certainly one of them. A carnival-themed fundraising event is family-friendly and adaptive enough to provide entertainment for attendees of all backgrounds. Carnivals are more than just fun and games, though; these fundraising events have the potential to be serious moneymakers for your cause. You can charge an admission and bring in extra donations with concessions or branded products for sale (as well as a donation booth, of course). First, if you budget carefully and get most of the necessities donated, you stand to raise a lot of money. And second, carnivals build community and give your supporters of all ages the chance to come together and have fun in the name of your cause. Throw in some tools that make it easier to donate, and you’ve got a stellar event. Carnivals are a fantastic way to get the whole community excited (and educated) about your fundraising efforts and attract new supporters. Have fun with it! For all the amateur Jeopardy! contestants out there, there’s nothing more fun than a little trivia competition. Encourage your donors to show off their brain power by donating to form small trivia teams. Don’t forget to offer a killer prize for the winning geniuses! 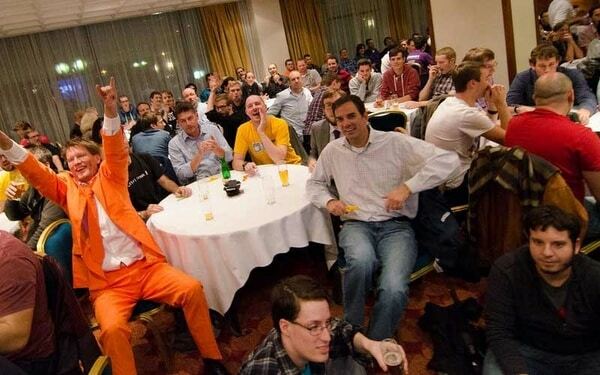 Anyone can compete in a trivia tournament, but more importantly, almost anyone can plan one with next to no hassle. They’re among the easiest events to host in terms of planning. All it takes to host a super successful trivia night is a venue, a host, and some interesting questions. 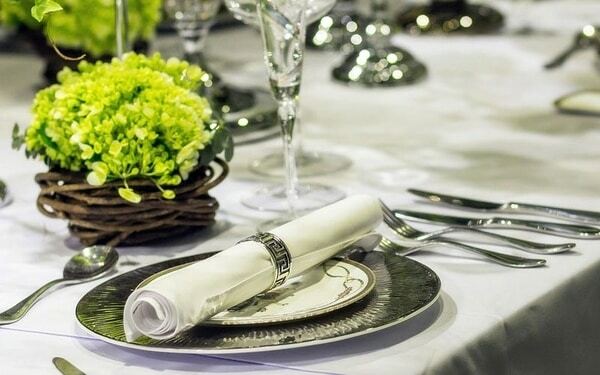 Keep it simple or spice it up by offering concessions or arranging a seated dinner. Most importantly, break up the evening with a number of donation appeals and quick reminders of your fundraising efforts. You might even frame your trivia categories around your cause so that your evening is both entertaining and extra-educational. People love trivia! Why not turn that enthusiasm into donations? Plus, if you can partner with a local restaurant to host the night, you can even reach new prospects who just happen to be patrons of the business. Bonus: Trivia works especially well for individuals between their 20s and 30s. If you’re a college group, trivia can be the perfect event and is often used during fraternity or sorority rush events. Grab some popcorn! 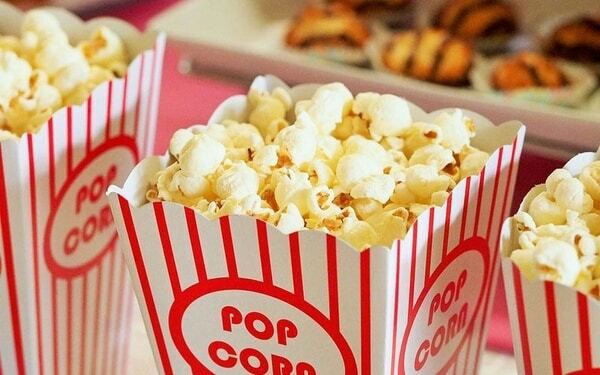 Movie nights are a terrific way to raise money and enjoy a cozy night with your favorite flick. While you will have to secure the rights to the film of your choice, the rest of the planning for this fundraising event is relatively simple: find a venue with ample space and a big screen (or projector), sell some tasty concessions, and you’re all set. Movie night fundraisers are perfect for churches and schools, since you won’t have to worry about securing an adequate space. Depending on the type of fundraising event you’re hoping to throw, you can choose a feel-good film that’s strictly entertaining or opt to screen an educational film that relates to your cause. Either way, your donors will appreciate a chance to relax with other members of their community and enjoy a good movie. If you want to add even more fun to the event, consider going all out and incorporating a theme that relates to the film you’re showing. Most importantly, provide plenty of donation opportunities at your event, including a donation booth and advertisements for your text-to-give options (if you’re set up with a text-to-give provider, that is). Movie nights put fun first, which your donors will appreciate it. They’re the perfect chance to get all your supporters together and make a big appeal — just hold an announcement session immediately prior to the screening. Though most popular with schools, a talent show can be an amazing fundraising event for practically any audience or cause. Like some other fundraising events, you can make your talent show as over-the-top or low-key as you’d like. Simply charge an entrance fee for contestants, sell tickets to spectators, and sell concessions for extra donations. Let’s face it: who doesn’t love a good show? When your community can all come together to celebrate the amazing (sometimes surprising!) talents among them, everybody has a blast. 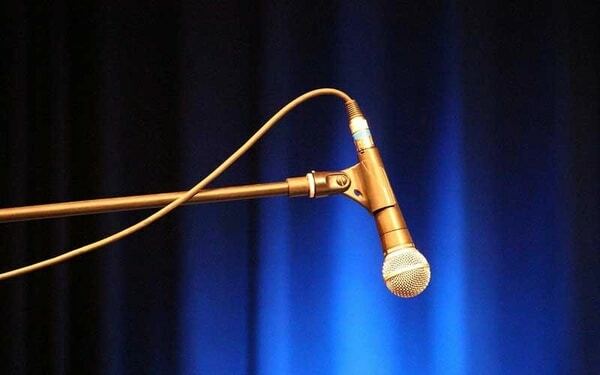 Organizing a talent show will take some resources (and you don’t want to skimp on proper sound equipment or rehearsal time! ), but it can also seriously boost your fundraising results. To maximize profits (and fun), make your show as inclusive as possible by opening it up to all ages and talents. Add a lucrative twist by having the audience vote with their donations. Set out tip jars with each contestant’s name and photo, or allow your guests to give online and indicate their favorites to a volunteer. Talent shows are ideal fundraising events for churches, schools, and other organizations that already have stages, sound equipment, and other performance essentials. They capitalize on existing resources and become all about raising money while enjoying a showcase by your supporters. Charity field days are a fun way to get the whole community together and raise money for your cause. Plan a full day of games, food, and (friendly!) competitions that appeal to kids as well as adults. Pro tip: since field days are best held outdoors on a warm, sunny day, keep a backup location or rain date in mind in case the weather isn’t on your side. 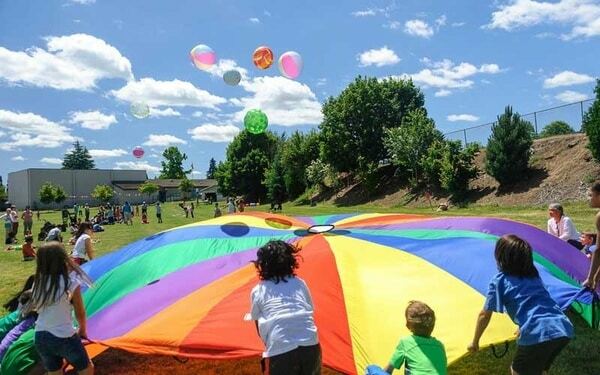 Similar to carnival fundraising events, field days combine a lot of mini-games and fundraising activities into one jam-packed day. While this does mean you’ll have to put some thought into planning, it also means that almost everyone will find something they love at your event (and you’ll raise more because of it). You can charge by event or for a full day’s admission. Don’t forget to offer concession stands, donation booths, and merchandise tables to really maximize fundraising potential! As long as you plan accordingly and promote your field day fundraising event in advance, you’re bound to raise money while entertaining existing and new supporters all at once. Field days are the perfect way to welcome summer while fundraising. Calling all chefs! 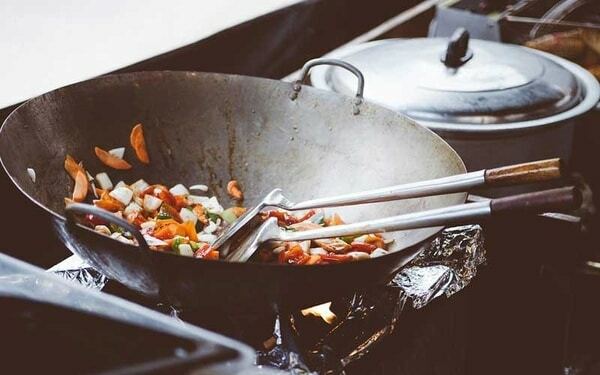 A charity cook-off is a classic way to engage your supporters and raise some money for your cause—and did we mention eat a lot of good food, too? To pull off this event, you’ll need some sort of theme (bonus points if it relates to your cause!) and plenty of willing participants. Charge a small entrance fee and sell tickets to the big event for all your hungry guests. Simply put, no one wants to turn down delicious food or the chance to prove that they’re a master chef. While you should encourage any and all local foodies to submit a dish, you might also want to reach out specifically to restaurateurs and well-known culinary experts in your community. Engaging with local businesses or prominent individuals will help you promote your event to their loyal customers and fans, and might lead to potential sponsorships down the line. Charity cook-offs are low-cost and offer a high return on investment. They also do a stellar job of encouraging engagement from your supporters, which is beneficial for your donor retention. Also known as a Chinese auction, a penny social is a hybrid of a silent auction and a raffle—so you get the best of both worlds! So instead of having supporters place bids through a mobile bidding app or writing down a monetary value on a paper bidding sheet, they’ll purchase tickets before the event. 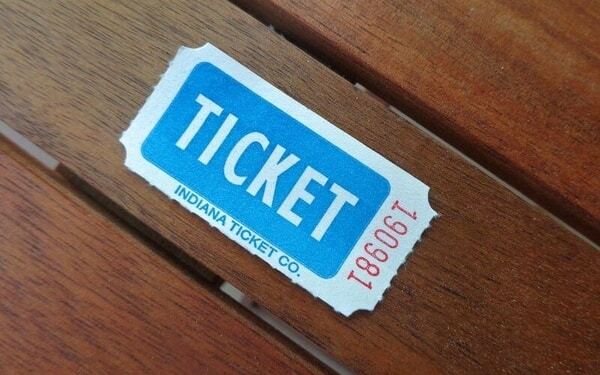 During the auction, your supporters will place their tickets in the bin next to their desired item. The more tickets they drop in, the more chances they have at winning! Most of your supporters have participated in silent auctions and raffles before. With a penny social, your donors can try a twist on a two classic fundraisers! This fun, engaging event will encourage your supporters to come out to support your cause. Plus, with this event, you’ll still harness the competitive spirit of an auction as your supporters will want to place the most tickets in the bowls of their favorite prizes to outbid others. Penny socials are a practical fundraising event because they can be standalone or accompany a larger event. They’re especially popular with school fundraising events. Bonus: A penny social is a big event to take on! But don’t worry, OneCause event software is here to help you manage every aspect of your fundraiser. A fun run is just as fun as it sounds! This themed race encourages friendly competition and a fun event for every age. Your supporters won’t be able to turn down this chance to support your cause and have an exciting afternoon. Your participants’ excitement will be contagious. For your fun run, participants will accept pledges from family, friends, and peers for how far they can run. It will easier than you think for participants to accept pledges if they’re fired up about your event! In a way, it’s just like a peer-to-peer fundraiser, where your supporters fundraise on your behalf. Remember, just because your participants might be doing some fundraising doesn’t mean you won’t have work to do! But don’t worry, your fun run will be easy to host with the help of your peer-to-peer software. Like walkathons, fun runs are popular because they are healthy, active, and lucrative. 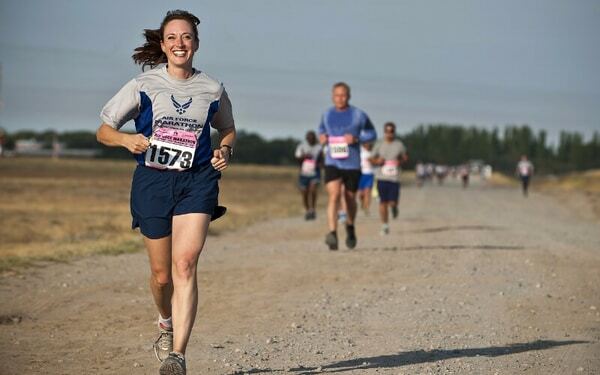 As long as you have the right resources and team to accomplish a fun run, they are a surefire choice. If you’re looking to host a fundraising event that’s a little more unique that you’re average 5k Run, try hosting a concert! We know what you’re thinking, big rock stars? There’s no way that’s in the budget. But don’t worry, you won’t have to throw down too much money to throw this stellar event. With the help of local artists and both their networks and your own, this event will be easy to pull off. 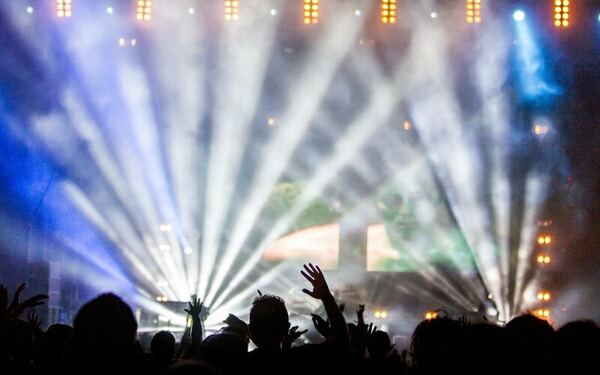 A charity concert is mutually beneficial for both your organization and the artists performing! While you’ll raise funds, the artist will gain exposure. While your event will help promote your cause, it’ll also help your artists promote their music and themselves. An event like this is a win-win. Plus, you can encourage additional donations by hosting a text giving campaign in conjunction with your concert! In other words, charity auctions are definitely recommended fundraising events but only for nonprofits that are fully equipped to handle all that they entail from a logistical standpoint. 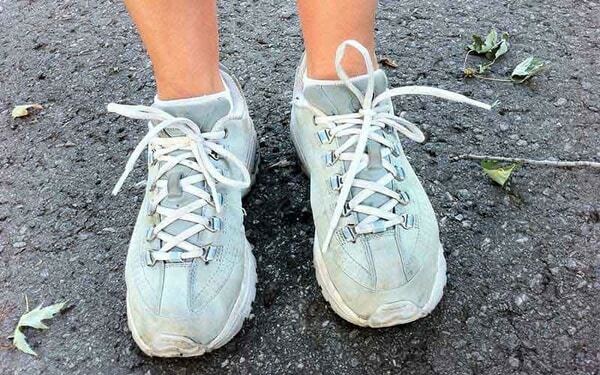 Each year, the average person throws away 7.5 pairs of shoes. Why not turn those shoes into cash? 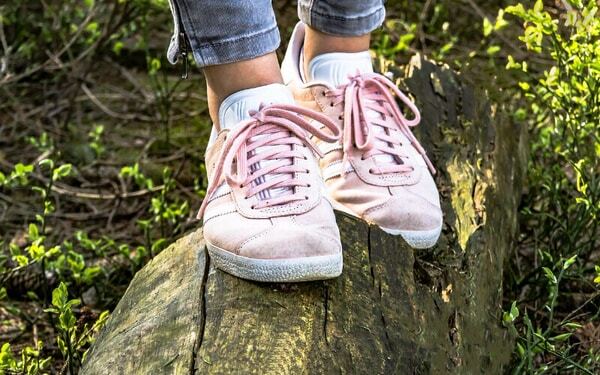 A shoe drive fundraiser is an amazing fundraising event where you can help eliminate waste and raise money for your cause all at the same time! All you have to do is partner with a company who can turn your shoes into donations. Companies like Funds2Orgs make for perfect partners for these types of events. All you have to do when working with Funds2Orgs is host your fundraiser, collect the shoes, and then contact Funds2Orgs to pick up your collection. From there, they’ll ship your shoes to micro-entrepreneurs in developing nations! At the end of your event, you’ll be left with a check and you’ll know you held a socially responsible campaign that helped those in need. A Serve-a-Thon fundraising event helps your organization raise money performing some needed community service! Just like your fun run, your participants can accept pledges for the amount of trash they pick up. Since there are very few communities that are entirely spotless, this will be an easy event to promote and involve your community in! Your participants can ask for donations from their families, friends, and peers. 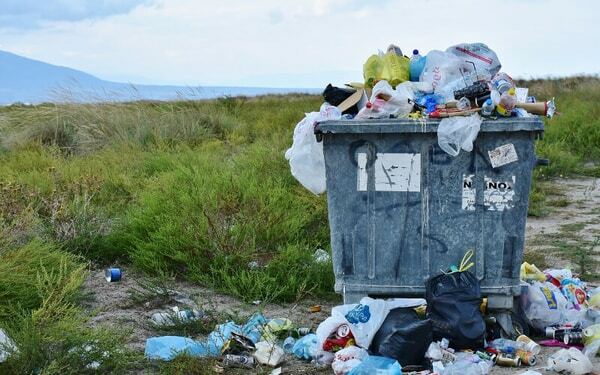 Pledges can serve per item of trash or per pound of trash! For example, someone might donate a dollar for every aluminum can you pick up or $5 for every pound of garbage your collect. All you’ll need to do is recruit volunteers, collect pledges, and get to cleaning! This fundraising event is all benefit. Your nonprofit raises money, and while you’re raising money, your community is being bettered in the process. It’s win-win. 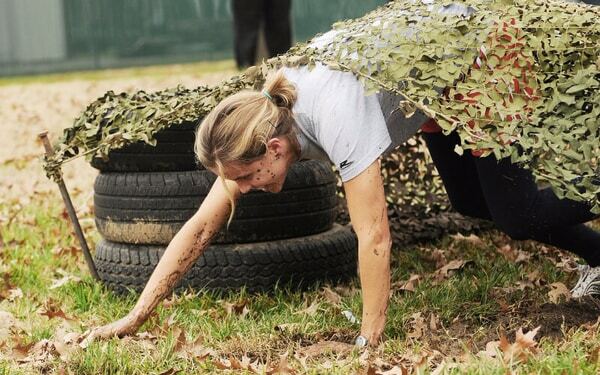 An obstacle course is the perfect fundraising event and can be a fun challenge for kids, teenagers, and adults alike. You’ll want to set up plenty of obstacle and games to make up your obstacle course and offer participants the option to register online. Your supporters will have the option to participate as individuals or in teams. With a prize for the winning team, friendly competition is sure to ensue! Your obstacle course event is sure to leave your supporters with smiles on their faces and your organization with donations in the bank. As with field days, obstacle course fundraising events get your supporters outside and participating in some good old-fashioned athletic competition in the name of charity. It serves as a team-building event, and further builds connections between your network of donors, volunteers, and staff. A car wash is an easy and profitable fundraising event for nonprofit organizations. Between the event’s simplicity and everyone being outdoors, it’s hard to find a better fundraiser! You’ll just need to invest in soap, sponges, and promotion! 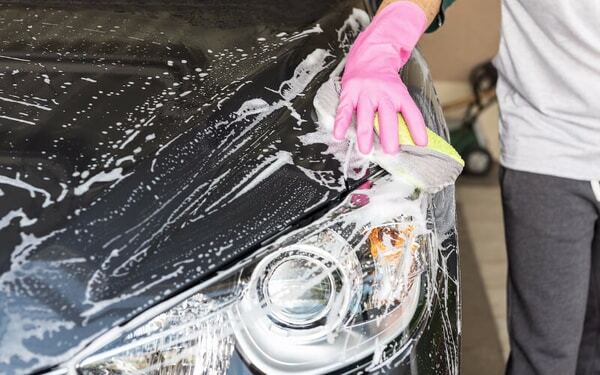 Your nonprofit’s staff and most loyal volunteers can help wash cars, the day of. Who can say no to an expensive car wash that will support a good cause? Make sure a few volunteers stand near a busy road with signs to promote your event the day of and you’re sure to see a flux of dirty cars with supportive drivers. This fundraiser is a classic because it works! Your nonprofit will be walking away having helped your community out and raised plenty of money. Car washes are fundraising staples that speak for themselves. They’re low-cost, quick, and easy ways to bring in funding. Now that you have a wealth of fundraising ideas to choose from, it’s time to bring these exciting ventures to life. To ensure your nonprofit doesn’t miss any key steps in the planning, marketing, and hosting process, feel free to follow along with this fundraising event checklist from Fundly. Charity Auction Guide. Learn how to plan the charity auction of your dreams! This comprehensive guide will walk you through every step of the planning process for silent, live, and online auctions. How to Plan a Fundraising Event. Once you’ve decided on the perfect event, it’s time to get planning! This helpful resource will walk you through 10 steps to pulling off a flawless fundraiser. How to Run a Charity Golf Tournament. Interested in hosting a golf tournament as your next event? Read up on our essential checklist so you won’t forget a single element to your event. Text-to-Give Guide. Fundraising events pair perfectly with mobile giving. Learn everything you need to know about buying and implementing text-to-give software.